"We won the lotto" I said to Mr. FFID. No we didn't win 'the' lotto but we were sitting on our sofa on a miserable Saturday evening when we checked the numbers. Although we didn't win the €11 million jackpot we still got the decent sum of €1,804. Wohoo! it was like fate or luck (whatever you call it) heard we were getting married in a few months and that we needed a little financial help. So of course we had to celebrate, we decided to treat ourselves the next day to brunch and margaritas in 777 and to go for a celebratory dinner to Locks the following weekend. The rest of the win was reasonably put aside for our wedding. This wasn't my first time in Locks but having been there previously for the launch and for a work Christmas party I waited to pay a visit as a regular paying customer. Well, technically the National lottery paid... Still pinching myself! Locks is located by the canal in Portobello and it's rather lovely as they have swans swimming on the river nearby, how romantic! The dining room is welcoming and pleasant and I liked that our table was a good distance from the nearby tables, a thing you can't really get in the city centre. 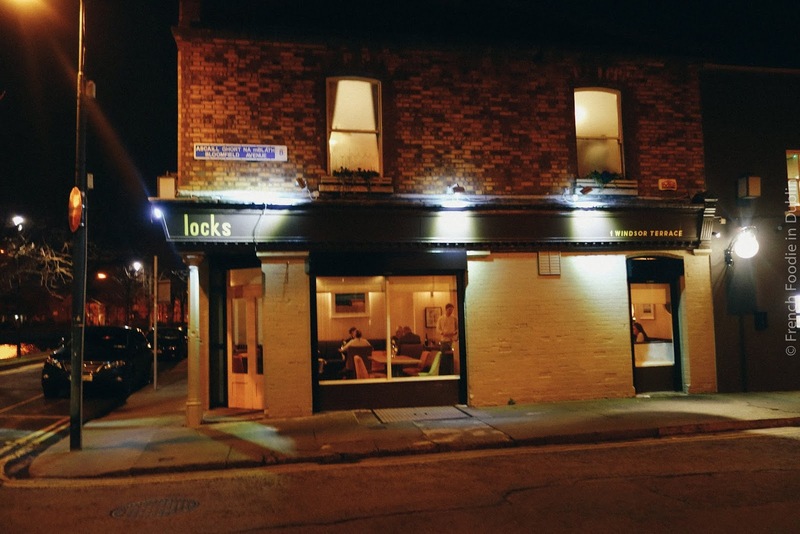 But that's what's great about Locks, it's a neighbourhood restaurant with a relaxed atmosphere and the staff seem to enjoy working there. In terms of the menu, you can order à la carte like we did or avail of different options depending on the time of your visit. The lunch menu is priced at €22 for 2 courses and €28 for 3 courses on Friday and Saturday while Sunday lunch is available for €25 or €30. 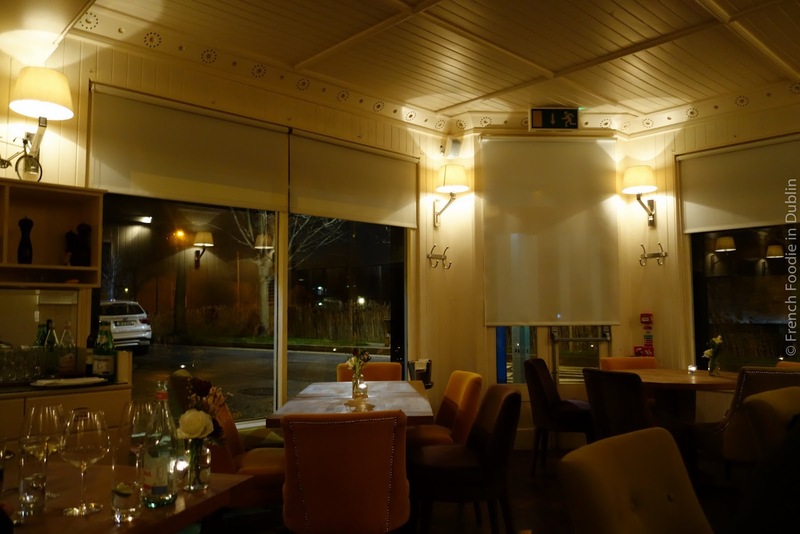 For dinner expect to pay between €22 to €28 for 2 courses or €28 or €34 for 3 courses if you go for an early or regular market menu. 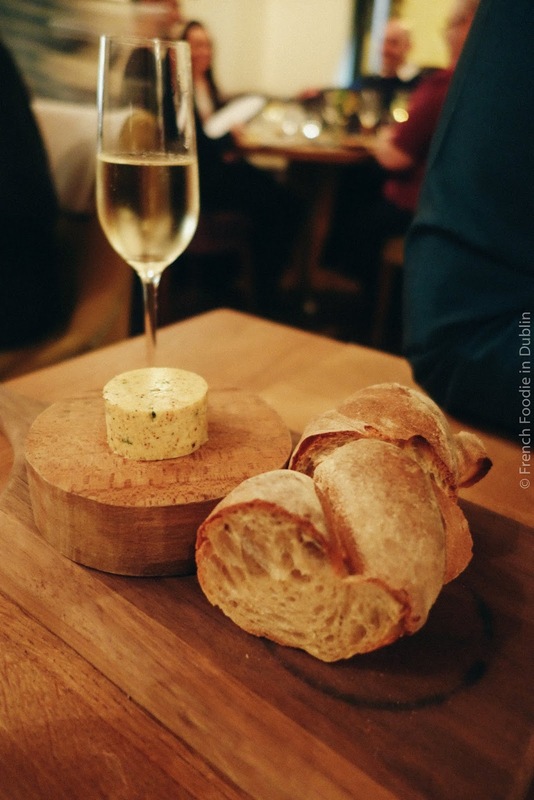 We kicked off by ordering a little snack of smoked almonds (€2.50) to open our appetite and happily tucked into their homemade sourdough bread served with homemade butter. A restaurant always gets brownie points when they make their own bread, especially sourdough which requires more time and love than other breads. 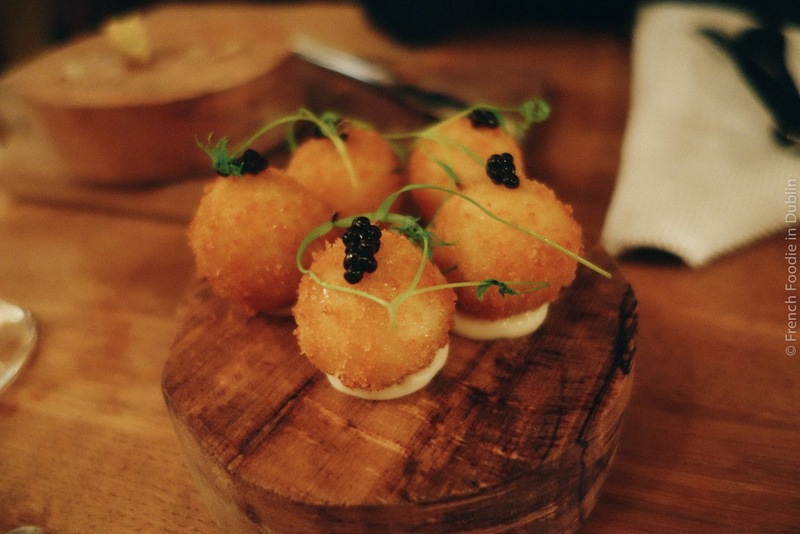 I then nibbled on some lovely haddock fish cakes served with oyster mayo, these were perfect little rounds of crispiness on the outside and fishy creaminess inside. 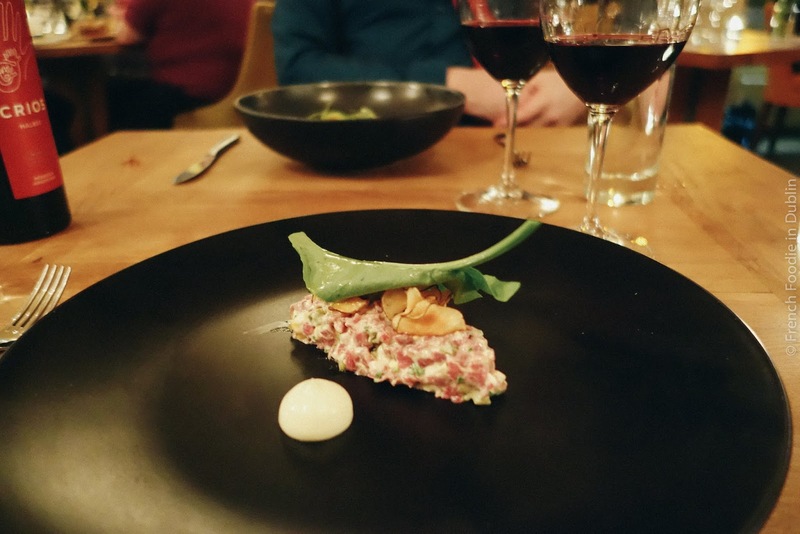 My starter was a quenelle of beef fillet tartare (€12) which was simply plated on a dark plate. It was topped with a tangy leaf of sorrel and crispy Jerusalem artichoke crisps which brought a nice sweet taste and nuttiness. There was also pickled cucumber mixed with the meat. It was a lovely tartare but I thought it could have done with a little less oyster mayonnaise, as it made the tartare a bit too creamy. 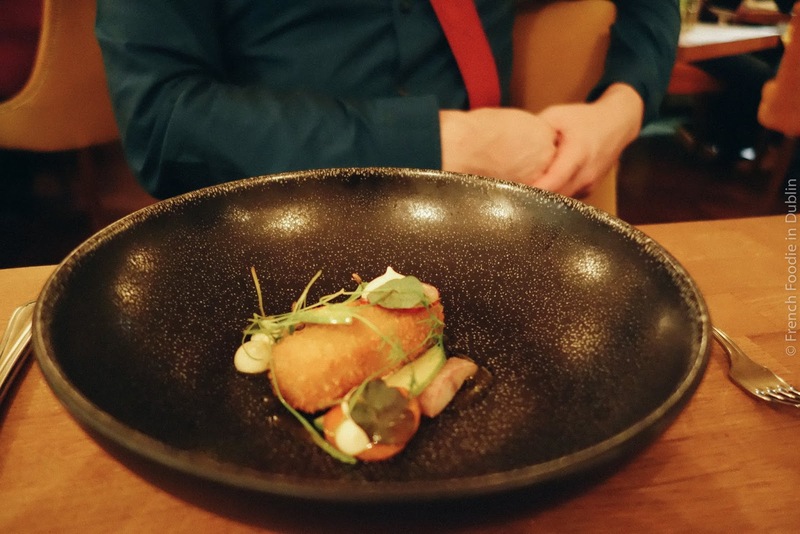 Mr. FFID had a crispy pig's head croquette (€9), served with pickled carrots, crunchy radish, a sliver of pear and delicious raisin mustard which he happily enjoyed. For main we had no hesitation and went for the Chateaubriand for 2 (€60). 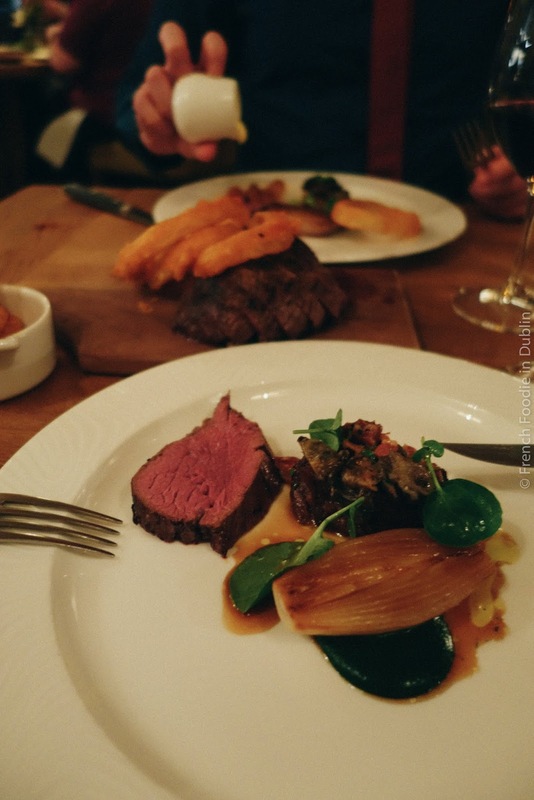 We giggled thinking that this dish sounded like they threw together everything Mr. FFID and I like: a Chateaubriand (a thick and tender fillet of steak for two people), braised short rib, chips, onion rings, snails (oh la la), bacon (a word synonymous with happiness for Mr. FFID) and béarnaise sauce. 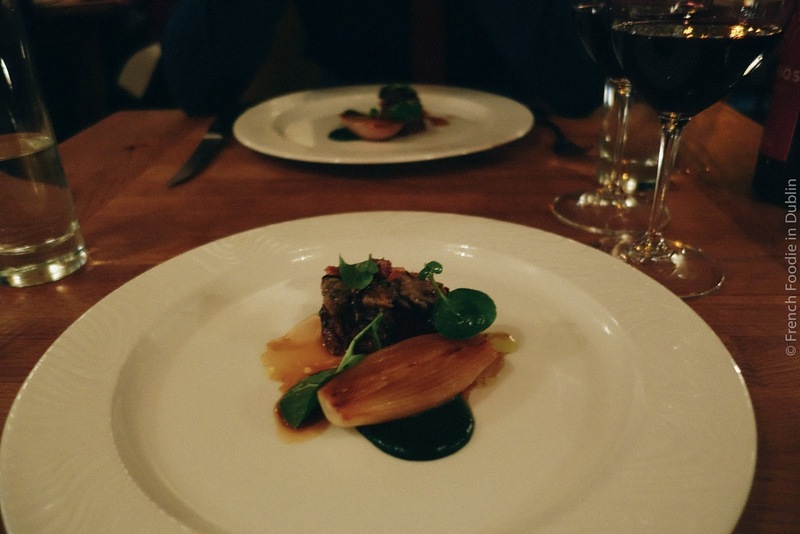 First came the plate with the tender, slow-cooked short beef and big caramelised shallot. 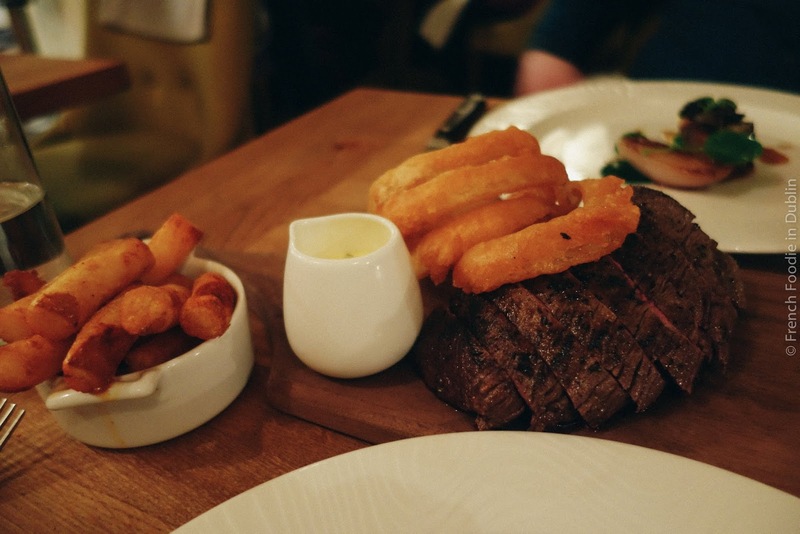 The steak, onion rings and sauce came on a wooden board with the chips on the side. It was a huge amount of food, especially after snacks and starters but a great dish. The steak was on the rare side of medium rare and perfectly seasoned, the chips were truly divine. We've tried many meaty sharing dishes in Dublin (all in the name of research) and this is easily one of the most satisfying. Even though some of our steak ended up in a doggy bag (which made delicious sandwiches the next day) we still had a little room for dessert. 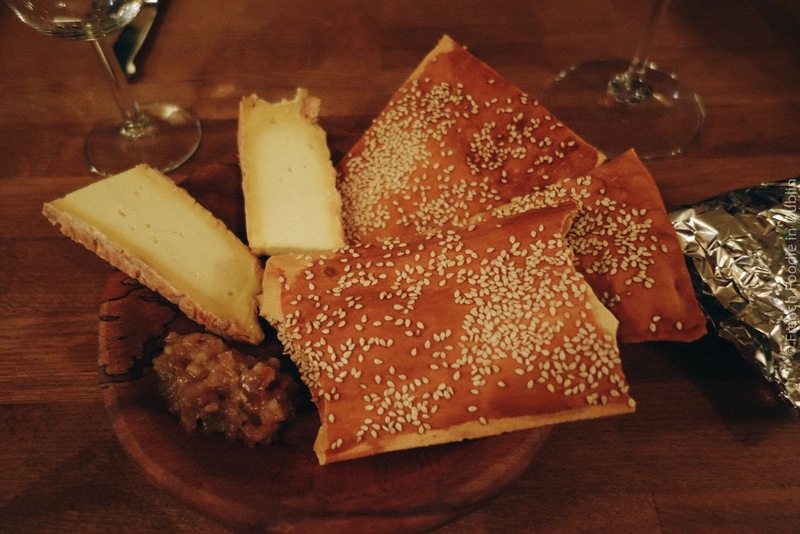 We shared one of our favourite Irish cheeses, Milleens served with crispy homemade crackers and chutney (€8.50). Again, you know a restaurant cares about their customers if they make their own little crackers, it's the little touches. Finally a rhubarb and custard dessert (€8) rounded-off this rather indulgent meal. 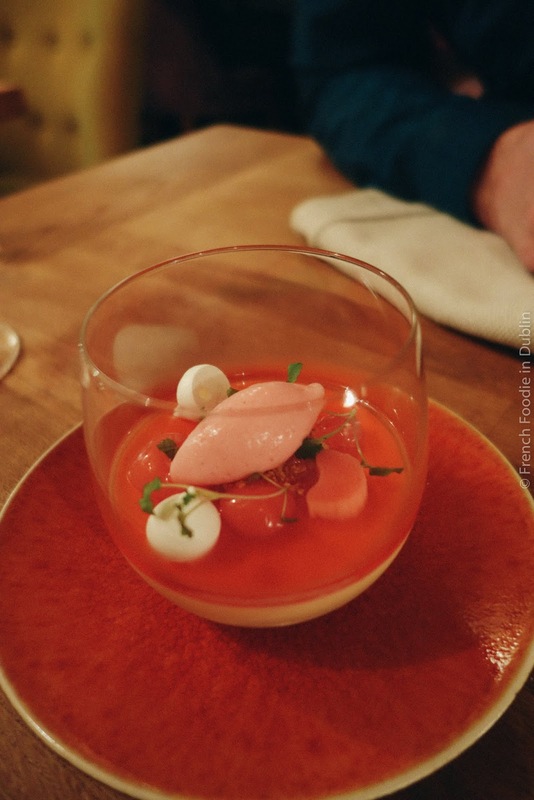 It was a vanilla custard layered with a rhubarb jelly, topped with sorbet, champagne rhubarb and little meringues served in a glass. I just wished we had daylight to enjoy the vibrant colour of the Champagne rhubarb. Mr. FFID was delighted with his first visit to Locks and my third visit just confirmed that I really like this place. 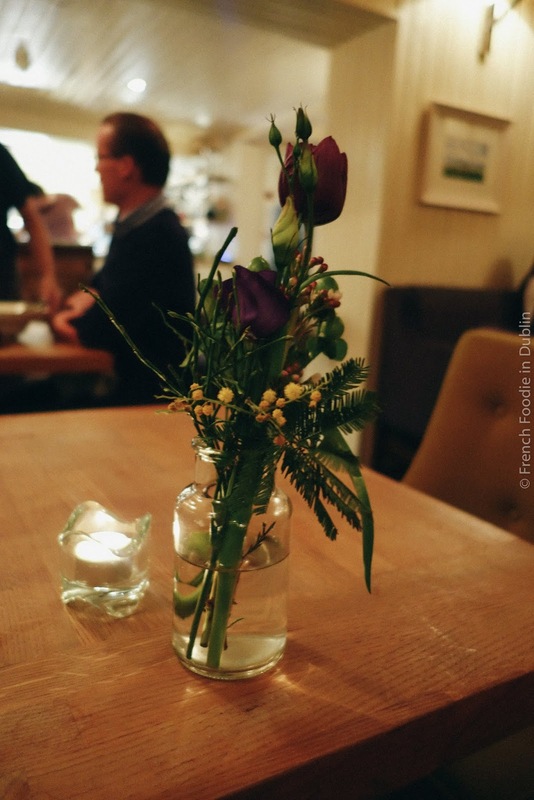 It was perfect for our little celebratory dinner and it was the kind of place we didn't want to leave after our meal because the atmosphere was laid-back and our bellies contented. Definitely one of the newish restaurants worth paying a visit to!